Wayne Main Street offers three Design Services each year provided by the Design Specialist at the Michigan Main Street Center. 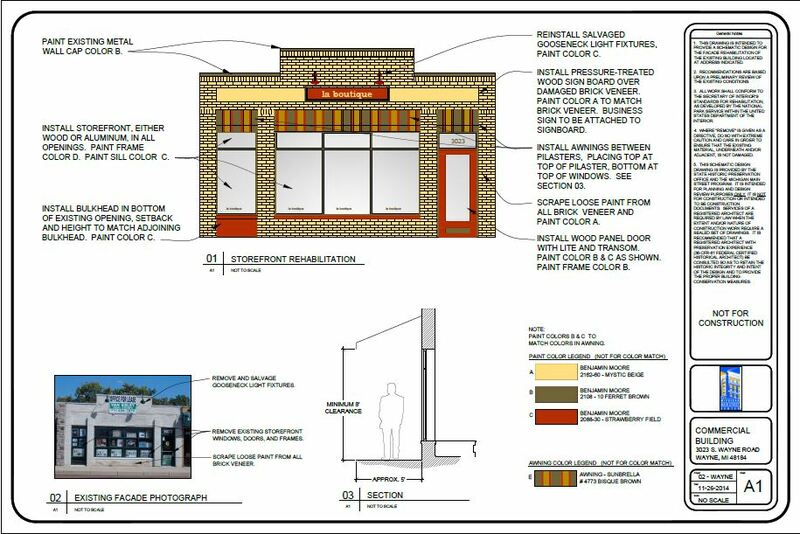 Last year we were delighted to receive 4 applications from building/business owners and were excited to award the service to the owner of the building at 3023 S. Wayne Rd., US12 Bar & Grill, and Dairy Queen. Pictured is the design for the building located at 3023 S. Wayne Road. What great potential! That building is NOT empty… it is FULL OF OPPORTUNITY! Keep an eye out for announcements about the next Building Basics Workshop & Application Deadline!